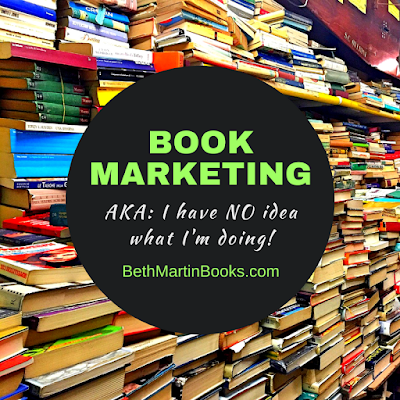 Marketing your book isn't limited to just indie authors. Every author is expected to participate in their own book marketing, no matter how big (or small) their publisher is. One thing that I did know going into writing was that I have no clue how to market. Now, I'm not going to say that I've learned a lot and can now share the secrets of book success with you. I have learned quite a bit, but there's no magic secret to success. However, in my research into book marketing, I have found some common threads of advice. 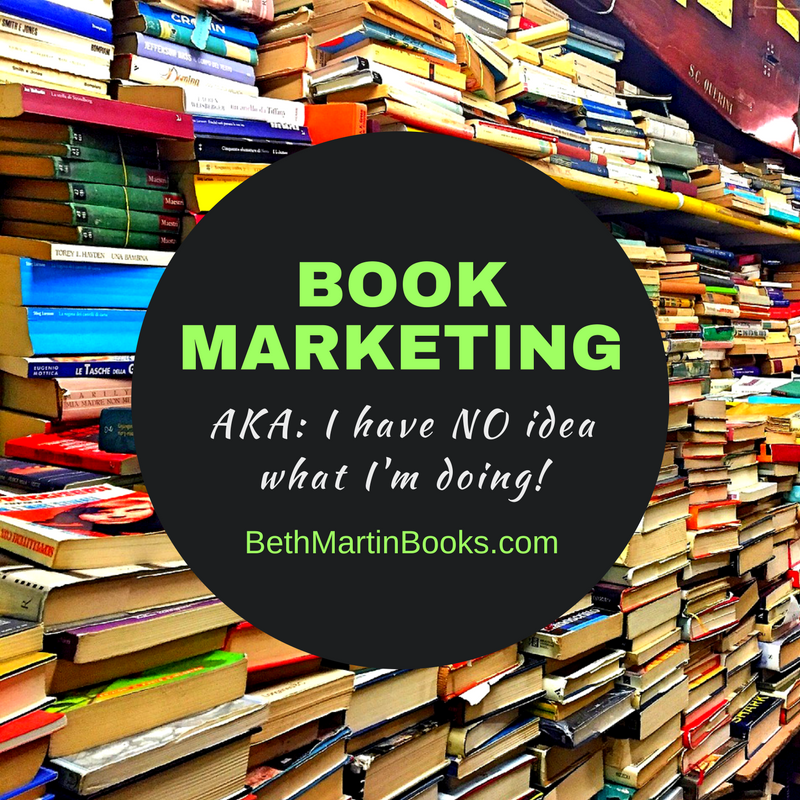 So, here's my (somewhat tongue-in-cheek) guide to book marketing. People spend a lot of time on their Facebook and Twitter, so it only makes sense to meet people where they spend all their time. However, it seems that to get a huge following (at least quickly) you have to either (A) be a major celebrity or (B) give away lots of free stuff. I'm not the former and can't afford the latter, so I don't have a huge following. And then there's Facebook. Facebook is sneaky: they don't actually show a fan group's posts to its followers. Each post only shows up in front of a few people, and you have to pay Facebook to 'boost' each post for them to share it with more people. So, unless fans are actively checking out my author page, it exists in a vacuum. On Twitter and Instagram, it feels like shouting in the middle of a crowded room of other screaming people. At least those sites aren't holding their hands out waiting for your money in order to share your content. In one marketing series I read, the author recommends using social media to make genuine connections, and that the people you interact with will also be interested in reading your work. This seems like a better strategy. I've been doing my best with the whole social media thing, but it's hard for someone who normally doesn't even want their photo on the internet. I've never been a natural sales person, so the thought of approaching people and telling them about my book(s) is also pretty daunting. I'm hoping to start going to more conventions where I can meet like-minded people and hopefully also sell a few books. Beyond launch parties, book signings, and conventions, I'm not sure how else authors put themselves out there. Maybe do like one author and schedule a zombie mob. Yet another thing I have yet to master. When I google my own name, other authors with similar names show up before me, but at least a search on my book title points you to my book's Amazon page. What's better than spamming "BUY MY BOOK" on Twitter? Spamming it on Amazon and Facebook as a sponsored post! Basically, give people free stuff/advice/entertainment, and they'll want to spend money on your other work. I view this kind of like getting a free consultation at the makeup counter. After matching me with the perfect shade of red lipstick along with the coordinating liner and gloss, the least I can do is buy the lip scrub they used to make my pucker super soft. I haven't tried this yet as I've only just published my first novel, but I'm wholeheartedly throwing myself behind this strategy. And it makes sense: if someone likes one of my books, they'll probably like the others as well. And if it doesn't work, at least I'm focusing my time and energy on something I love instead of all that other stuff.